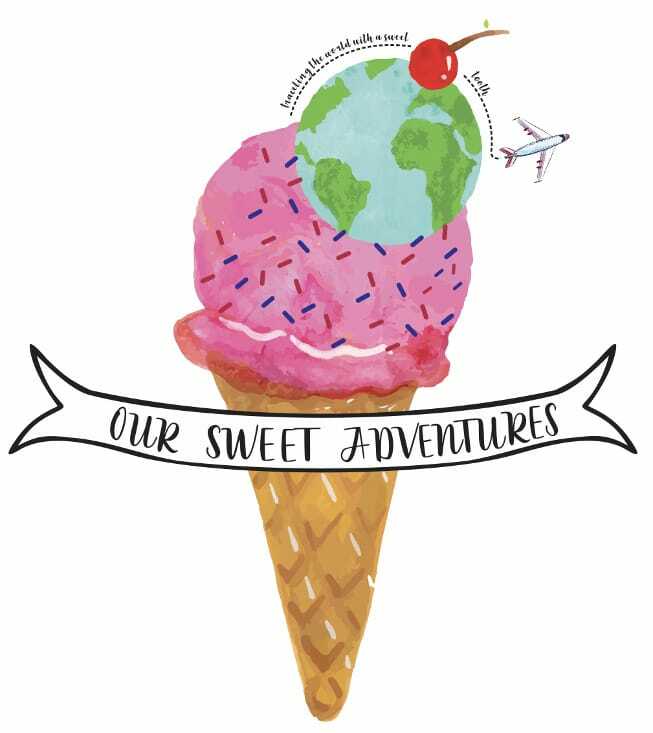 Our Sweet Adventures favorite topics – traveling and dessert! Adam and I had the honor to stay at the best resort in the entire Caribbean, Jade Mountain, (click here to read our post about our stay). Jade Mountain has their well renown restaurant, Jade Mountain Club, at the top of their resort that leaves guests with a breathless view of St. Lucia’s famous Piton Mountains. The restaurant features “Jade Cuisine” created by James Beard Award Winning Chef, Allen Susser, and is an exclusive dining experience to only the Jade Mountain guests. 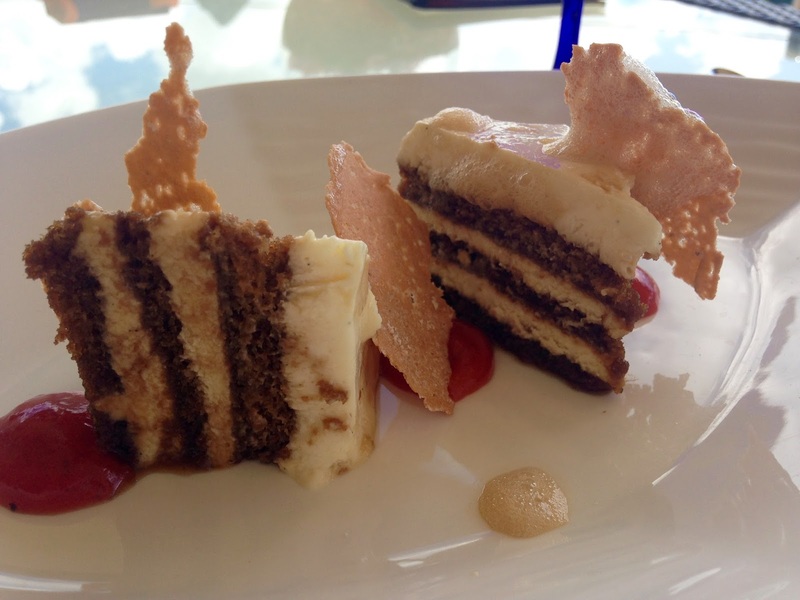 The desserts at Jade Mountain Club are helmed by Pastry Chef Sherma Peter. Besides an award winning chef, Jade Mountain also has their own organic farm, Emerald Farm, and a chocolate lab. Breakfast and lunch menus do not change, but every night the dinner menu changes based on what the chefs collect that morning at their Emerald Farm. Guests can always expect the freshest vegetables, fruits, nuts and protein for dinner. Honestly to work at this resort is probably every chefs dream – being able to be creative and cook something new everyday with the freshest ingredients from their own farm is priceless. On top of everything else the chefs are not the only ones who can visit the Emerald Farm, guests can tour the farm too and that is exactly what Adam and I did – in fact it was the highlight of our trip! This was actually our very first dessert during our stay – our first entire meal really kicked off our honeymoon well to this day it was our favorite meal of the entire trip. A vanilla bean – coconut cake with a West Indian cherry relish and pina colada foam was this evenings dessert special. The vanilla coconut cake was fantastic! A small spongy cake packed with flavor of macadamia and coconut. The pina colada foam was more like a cream, but it was light and wonderful. It was so refreshing while it also enhanced the sweetness of the coconut more. Though it was a little difficult to get a toasted macadamia nut on the fork, once accomplished it was well worth it. The West Indian cherry relish hits this dessert home with a sweet and tangy finish. A little bit of everything on one bite was what made this dessert truly amazing. This was the desert special of the evening. A small caramelized pineapple tart tatin with strawberry reduction, thyme buds, and vanilla bean ice cream. The pineapple like all the other fruits on this island was marvelous – thick slices of pineapple that were caramelized and very sweet. The crust was a little difficult to cut through and was a smidgen on the doughy side. The strawberry reduction had great viscosity and a brightness of color that stood out on the plate and tasted just as good as it looked. 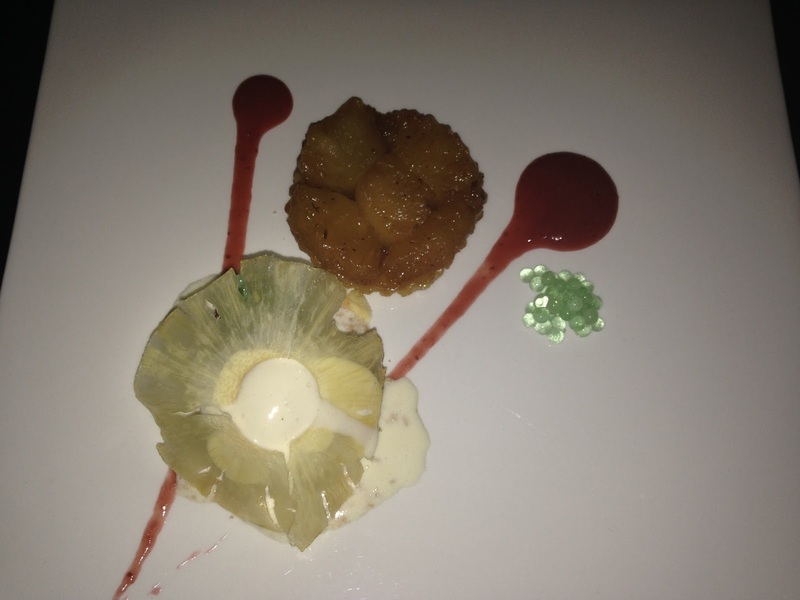 The thyme buds gave the dessert some earthiness and played very well with the pineapple. 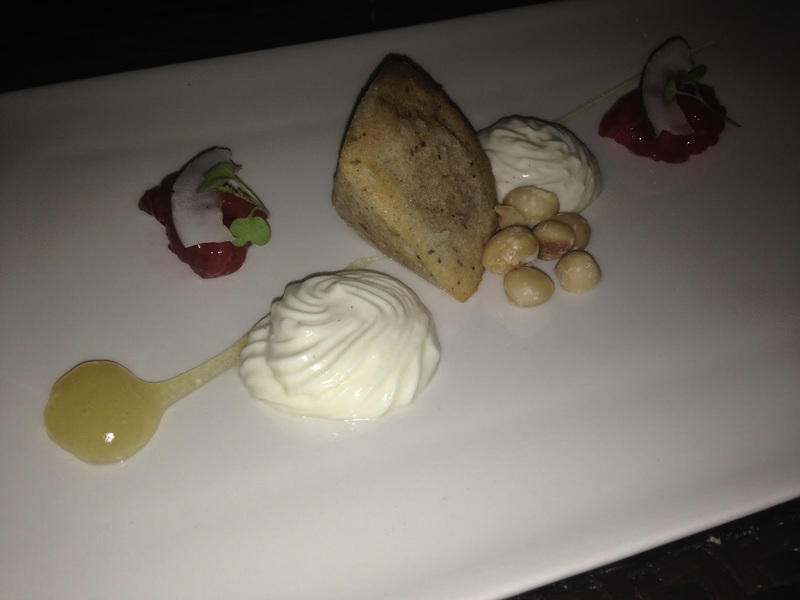 Some macadamia grains were plated beneath the ice cream and also gave the dessert some earthiness and texture. Lastly the vanilla bean ice cream was delicious and helped balance the sweetness from the caramelized pineapple – just had to eat it quickly before it melted in the Caribbean heat! Overall a pleasant dessert special that was sweet with some earthy notes. This is not the typical American cheesecake. It is more dense and has a consistency of panna cotta with a thin layer on sponge cake as the crust. Always excited to try something new, but this was very unexpected. Regardless it was still appetizing. 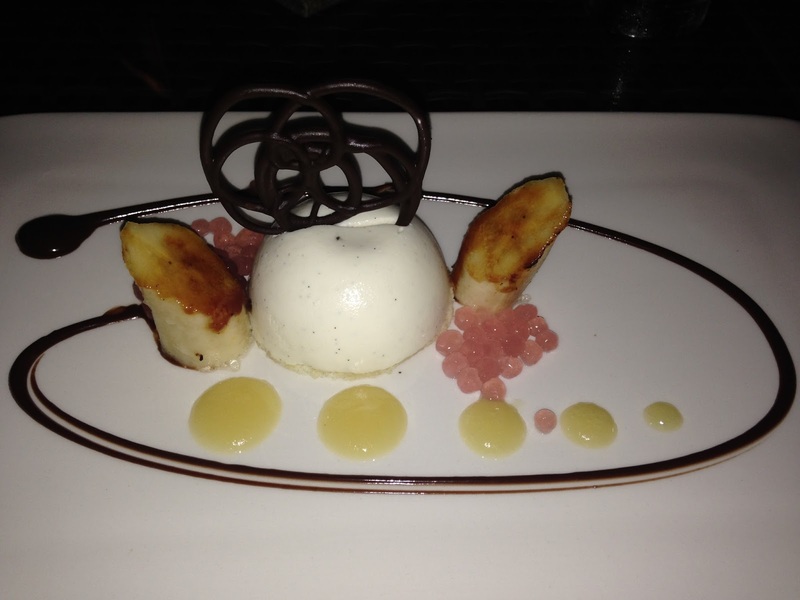 A lemon and ginger cheesecake with beetroot bubbles, caramelized bananas and chocolate ganache. The lemongrass essence was very present with the ginger notes hitting the palate towards the end of the bite. The beetroot bubbles were fun and worked well with the lemongrass and ginger, but the caramelized banana, (although good on its own), was way too overpowering for the rest of the dessert components. Lastly the chocolate – again like everything else that contains chocolate the ganache is amazing and actually pairs well with the lemongrass and ginger cheesecake. 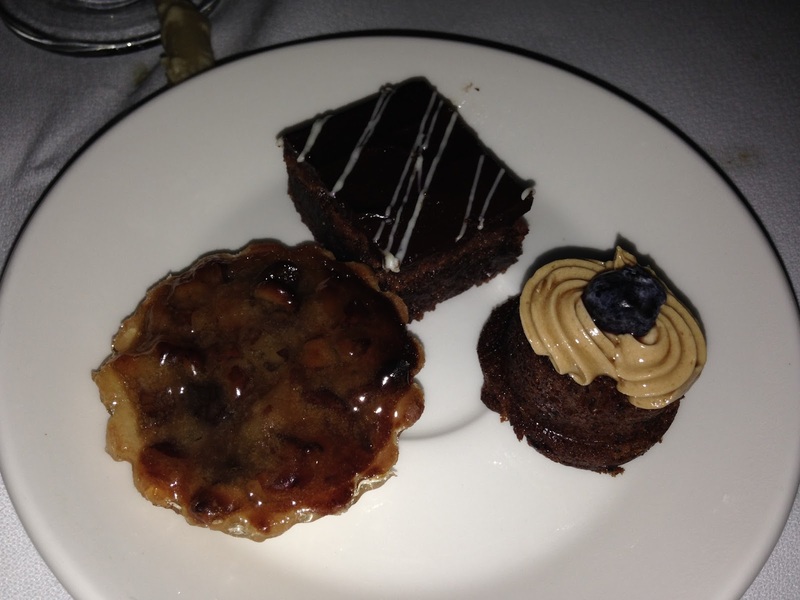 Overall this dessert has some highs and lows, but with everything else we have tasted it was our least favorite. Three layers of espresso soaked sponge cake and sweet mascarpone cheese with ginger tuile, cappuccino foam and grand marnier compressed strawberries. Quite delightful! As if the espresso did not give enough kick the ginger tuile really kicks it up with a sharp spiciness. It pairs so well with the tiramisu and grand marnier compressed strawberries, which also gives some brightness to this dessert. Jade Mountain certainly knows how to develop a great dessert on their rendition of tiramisu bringing it a Caribbean flare. St. Lucia must put something in their water because their bananas are out of this world! Nothing compares to it in the Unites States I swear! 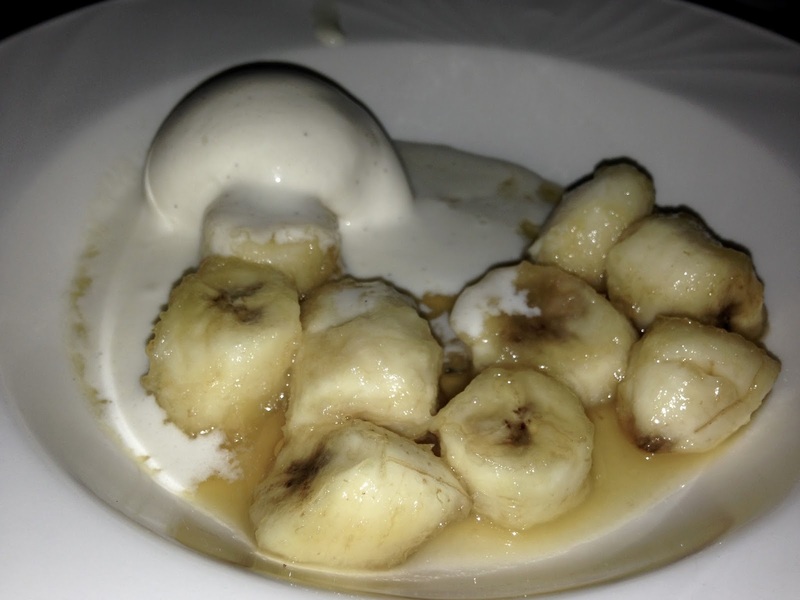 Beautiful caramelized bananas that the chef flambes giving guests the ultimate experience. Now this is the Caribbean so the vanilla ice cream was half melted by the time we reached our table on the beach, but it was all still wonderful! A well made tart shell that is crisp filled with lovely fruit and dark chocolate and finished with a sweet glaze. Spongy dark chocolate cake with chocolate ganache on top that is actually a thin crisp layer. Surprised to find two different textures. Every bite is so silky smooth and delicious – literally melts in your mouth. Mind blowing piece of cake I could have had a 16” round whole cake and still want more. Chocolate cake with coffee icing. Coffee is very overpowering but still wonderful. This cheesecake bite was delicious! Beautiful layer of fresh strawberries inside the cheesecake and the crust was more like a cookie or sable. Very well done. An excellent lemon meringue pie. Elegantly decorated and torched meringue and great lemon essence that is not too sweet or tart – perfect balance. This cookie was close to a shortbread cookie. Soft crumble with rich dark chocolate chunks. 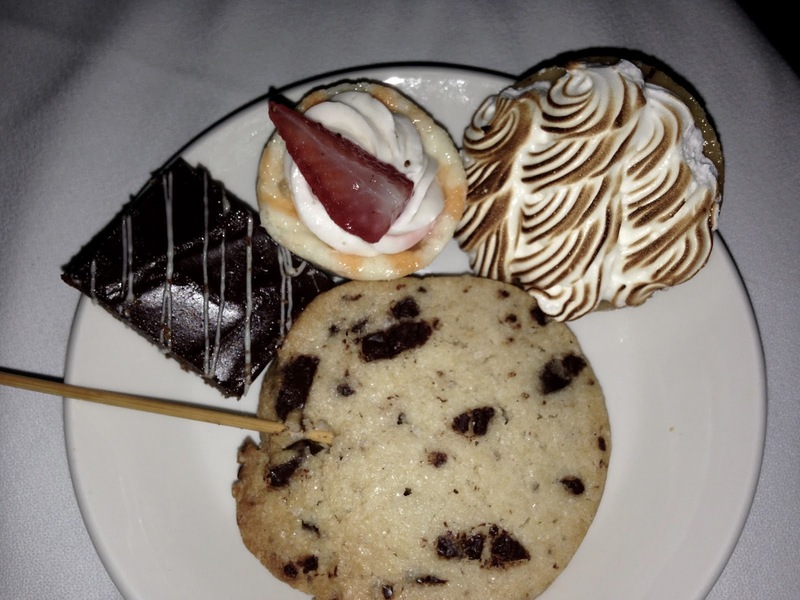 Jade Mountain delivers a great chocolate chip cookie. We miss this jewel already – all the delicious desserts and beautiful views. After reading our post, can you blame us? To read about all the chocolate we devoured click here.